This custom-designed road resembles the old railroad trestles of earlier times. 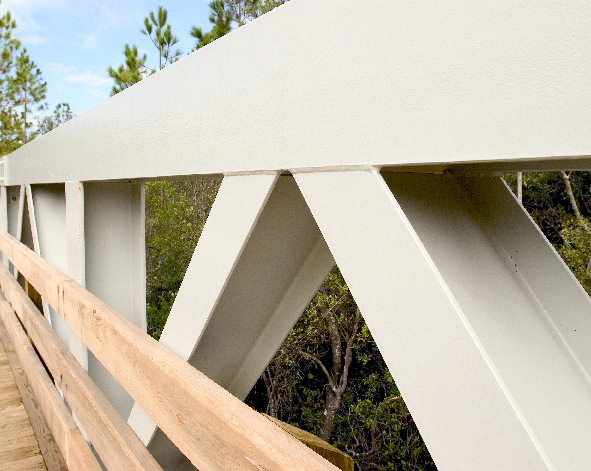 Each single span bridge has a painted finish and concrete floors to match the community aesthetics. Because St. Joe is an award- winning development, they needed bridges that blended with the architecture of the entire development. PBS&J was able to provide exactly what St. Joe wanted, both structurally and aesthetically. 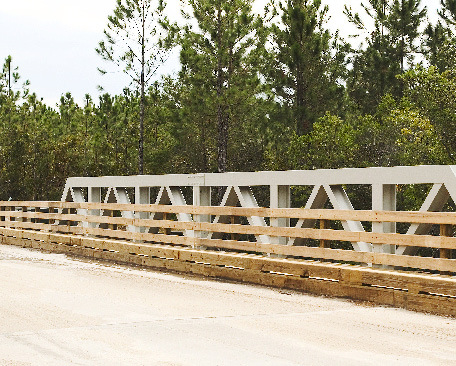 Use of this Contech Link® style vehicular bridge helped to reduce construction costs and installation time when compared to other bridge options.